Owing to our colossal years of industry experience, we are putting forth a gigantic exhibit of Hair Fall Control Oil. 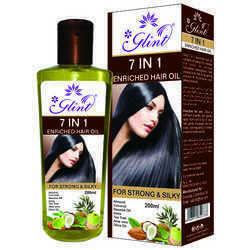 We are the leading suppliers of Rosemary oil for Hair fall and Skin . Useful for all hair types , made with Pure extracts of rose mary , herbs, spices & natural oils promotes hair growth, thickness, arrests hairfall making hair more hydrated, managable & healthy. Hair Loss : For hair loss or fall of hair. How To Use : Apply to the affected areas of the scalp before sleeping. Can be washed off next morning. 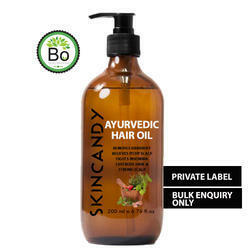 Sylkin Hair Fall Control Hair Oil - Prevents hair fall. Promotes hair growth. Rejoice your youthfulness of strong and healthy hair. Easy penetrating formula with real natural ingredients. Imporves Scalp Condition; repairs damaged hair, controls hairfall. Hair loss control, hair growth. Anti Hairfall Herbal Oil (Himkiran) is another effective product by our company made from the natural extracts and is 100% pure and safe. Its genuine quality caters large number of customers and provide them the best output.